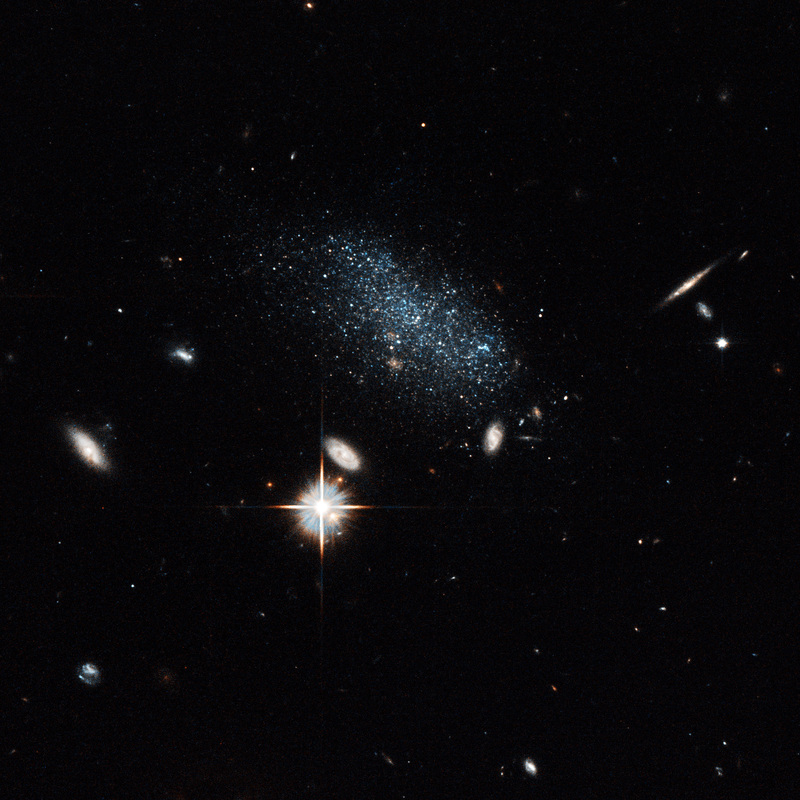 After spending most of their lifetimes stuck inside a cosmic wilderness, two dwarf galaxies have decided to join a nearby group of galaxies in a star-formation party. Read more. 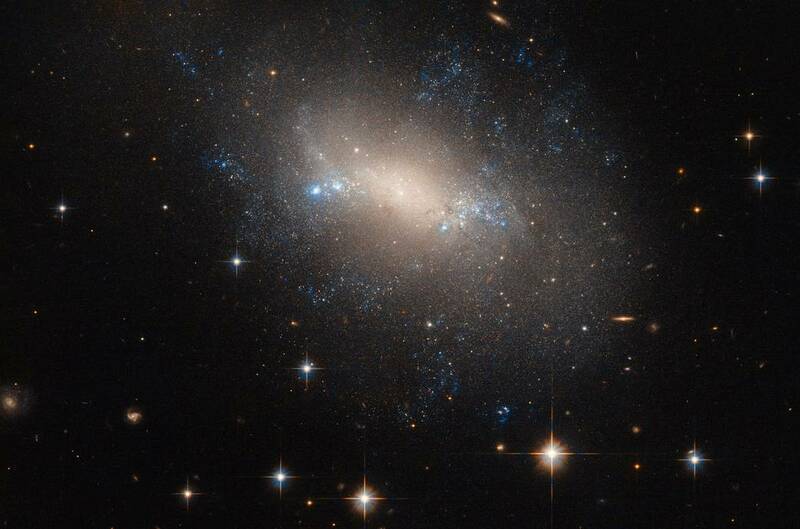 An irregular galaxy with a peculiar, lopsided shape was photographed by NASA’s Hubble Space Telescope. The galaxy — known as NGC 2337 — is considered irregular because it lacks a defined shape. Read more. 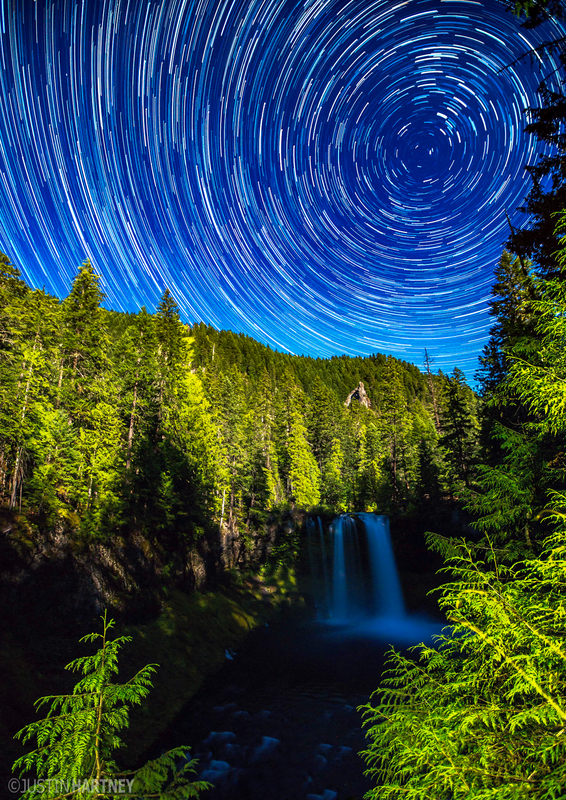 Star trails swirl over Koosah Falls in Oregon. Taken by photographer Justin Hartney, this image captures the soft flow of water cascading over the rock cliffs. The moonlight illuminates the surrounding trees, giving them a bright green glow. 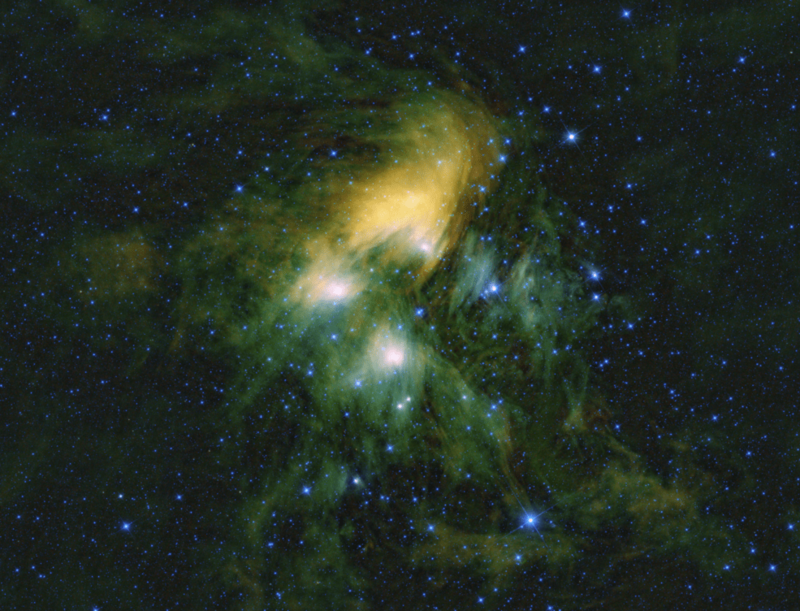 Bright yellow and green wisps of gas and dust emitted by stars of the Pleiades cluster are captured in this beautiful photo from NASA’s Wide-field Infrared Survey Explorer. Located 445 light-years from Earth, the Pleiades star cluster is one of the closest and most easily seen star clusters. Stars in this cluster spin and twirl at varying speeds like cosmic dancers. 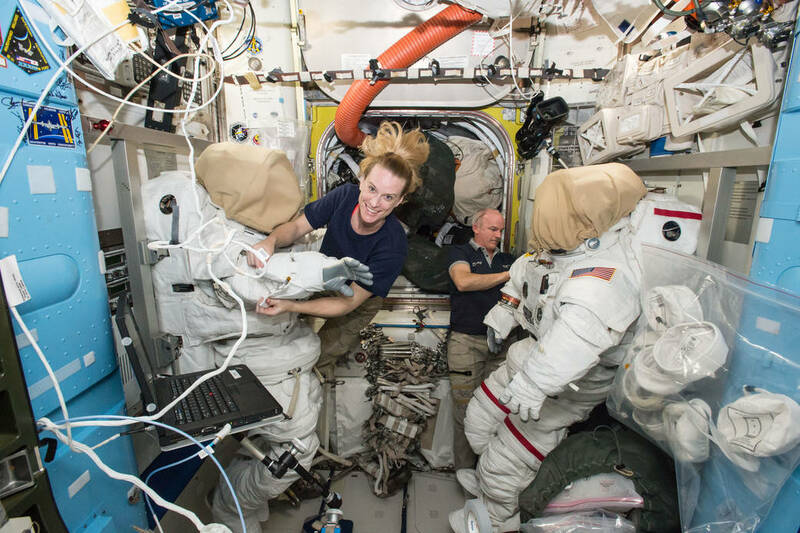 Astronauts Kate Rubins and Jeff Williams ventured outside the International Space Station on Aug. 19 to install the first International Docking Adapter. The addition to the ISS will allow future private space vehicles to hook up to the station. August 21, 2016 mannaismayaadventureThe Most Amazing Space Photos This Week!